As a community mourns the sudden loss of a six-year-old boy, the Port Alberni RCMP are reaching out to the public for any details related to the death. The Hesquiaht Storm came up a bit shy in its quest for a championship win at the Junior All-Native Basketball Tournament. 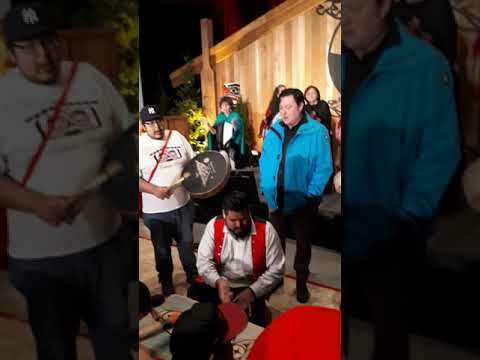 With hopes to improve opportunities in the Alberni Valley’s forestry industry, the Huu-ay-aht First Nations have announced an agreement with the largest logging company on the B.C. coast. Near Ahousaht’s coast lies Sea Otter Rock, a fixation in the First Nation’s territory that serves as a reminder for the active mammal not to overreach its place in the surrounding ecosystem. Dwayne Martin and Chris Seitcher of the Tla-o-qui-aht First Nation initiated a men’s group four months ago. Chris and Dwayne saw the need to provide guidance and support to other men in the community. As suicide continues to affect Nuu-chah-nulth communities, the First Nations Health Authority is looking towards youth for a solution. Two months after her birth and the subsequent ministry-ordered separation, a mother and infant will be reunited. As it watches the number of children in foster care grow, the Huu-ay-aht First Nations has declared “a public health emergency” in a statement released March 8. Tragedy struck a Port Alberni family on Tuesday, March 13 with the sudden passing of six-year-old boy. Despite winning just one of their final four games of the season, the Gold River Cougars were able to make a bit of history. Lillian Howard, a member of the Mowachaht-Muchalaht First Nation, is being honored by the City of Vancouver with this year’s Civic Volunteer Award. The Nuu-chah-nulth Council of Ha’wiih heard more details about a federal bill that would bring changes to the Canadian Fisheries Act on Feb. 16. The Nuu-chah-nulth Council of Ha’wiih gathered at Tin Wis on Feb. 15 and 16 to talk about fisheries access and conservation, along with a host of other fisheries-related topics.